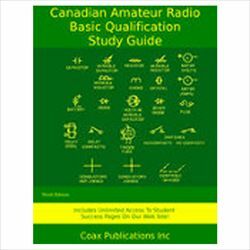 This page is updated to reflect the latest information on the ham license course - Doug Elliott, LARC Education Coordinator. If you have any questions, please contact me at instructor@larc.ca . bring up any problem areas with the instructors, who are glad to help. Will the fee still be $100, same as last year? Yes it will. LARC will absorb the additional costs associated with adding 2 more sessions to the course. What if I already have the Study Guide? The course fee includes $50 for the Study guide we provide, which is essentially our cost. If you already have the Study Guide, we will reduce the fee by $50. Is there a yearly renewal fee once I get my ham license? No, your license is yours for life, with no additional fees. However, we'd love to have you join the London Amateur Radio Club, which does have a low yearly membership fee. The first year is free as part of the course.